Mix together tuna, mayonnaise, salt, pepper, celery, red onion and water chestnuts. Taste and season accordingly. 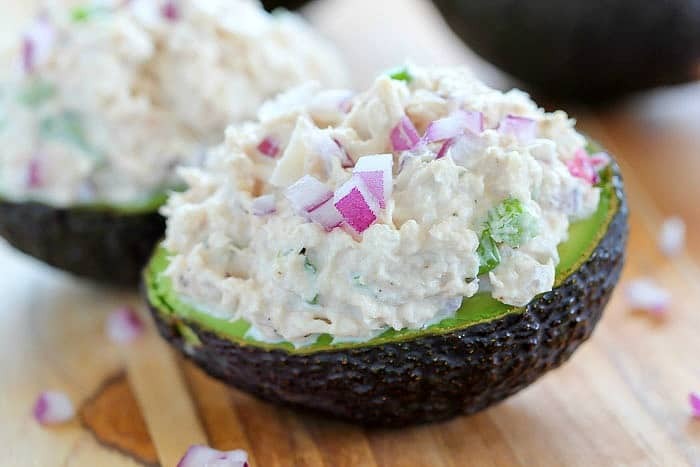 Place mixture inside each avocado half and serve. Enjoy! Thanks to Jen at Yummy Healthy Easy for the recipe!